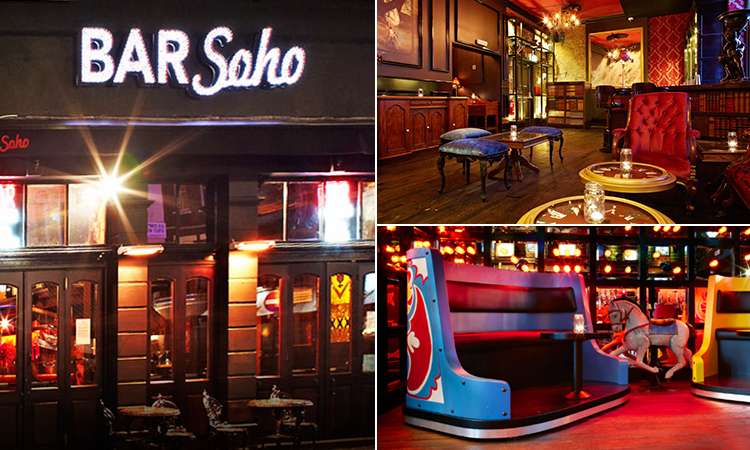 Soho, the compact, multicultural area of central London, is a real hub of activity throughout the day and night. Home to a vast wealth of truly unique and characterful watering holes, it’s no surprise why this area attracts so many people each year. Nestled between four huge tube stations, this square mile is a super stylish area; hugely popular with swanky and sophisticated hen parties. Here’s to partying in the Big Smoke. Brimming with character and charm, this decadent multi-room pub is the perfect place to begin your Soho bar crawl. The rooms throughout this charming venue are made up of an eclectic mix of quirky themes; including old school burlesque, Victorian fairground, French boudoir, and souped up Hollywood glamour. 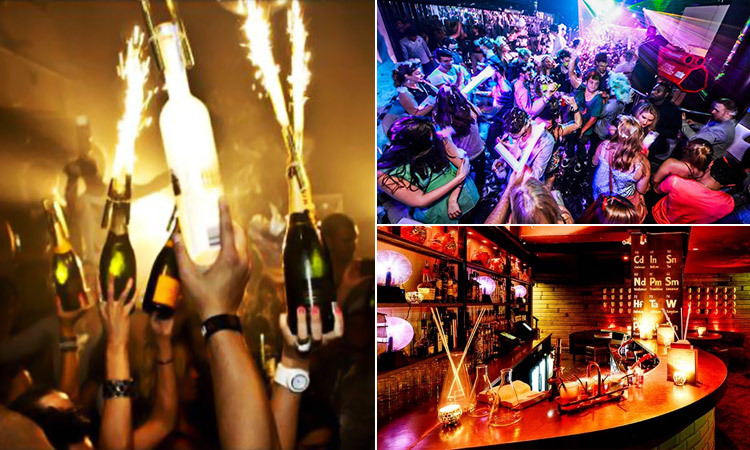 With a huge selection of wines and cocktails - as well as hugely popular resident DJs playing seven nights a week - nights here are guaranteed to be unforgettable. But that’s not all, Bar Soho even serves up delicious food; from light bites and adventurous salads, to satisfying big plates and hearty meat dishes, you and the girls can grab a bite to eat en route. Perfect. Next up, we arrive at the gorgeous Grace Bar on Great Windmill Street. Boasting a wealth of beautifully crafted classic, Champagne and signature cocktails, as well as wine coolers to share, this is the perfect place to unwind, (and get more than a little bit tipsy) with the girls. 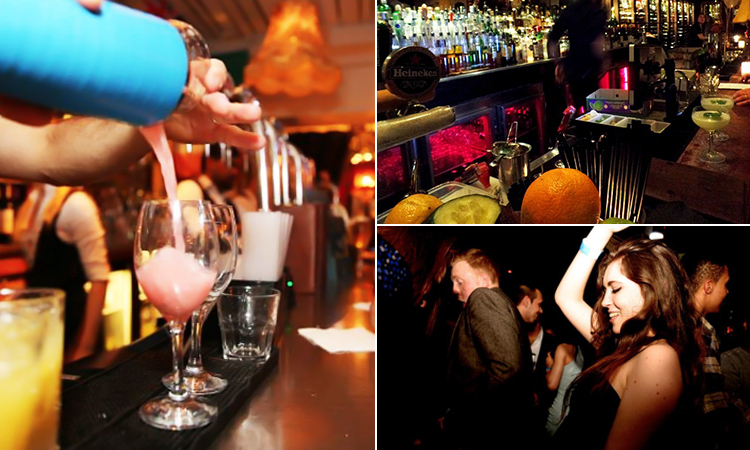 Grace Bar really is the place to celebrate in style - with super sleek booths, an extensive drinks menu, atmospheric lighting, a classy dancefloor, stylish seating and fantastic music played throughout. When dining out, Grace Bar has something to suit every taste - from traditional dishes to seasonal specials, light bites or full on evening a la carte menu. You and the girls will be truly spoilt for choice here. Moving up Piccadilly Circus, we arrive at London’s craziest party bar; Piccadilly Institute. This vibrant and quirky late-night bar boasts a choice of six eclectic, uniquely themed rooms, each with its own cocktail list. You can indulge your dark sides with blood cocktails, or treat yourselves to a gorgeous picnic in the middle of a nightclub, whilst being surrounded by some of the most original and idiosyncratic interior design in the whole of London. Outrageous, eccentric, bizarre or sublime – whatever way you choose to describe it, Piccadilly Institute will guarantee a night in London you’ll never forget. What’s more, should you be feeling a bit peckish, the Piccadilly Institute has a huge selection of big plates, burgers hotdogs, sandwiches, salads and light bites to tickle your fancy. Moving along into Glasshouse Street, we arrive at the exotic Haven, Jewel Piccadilly. 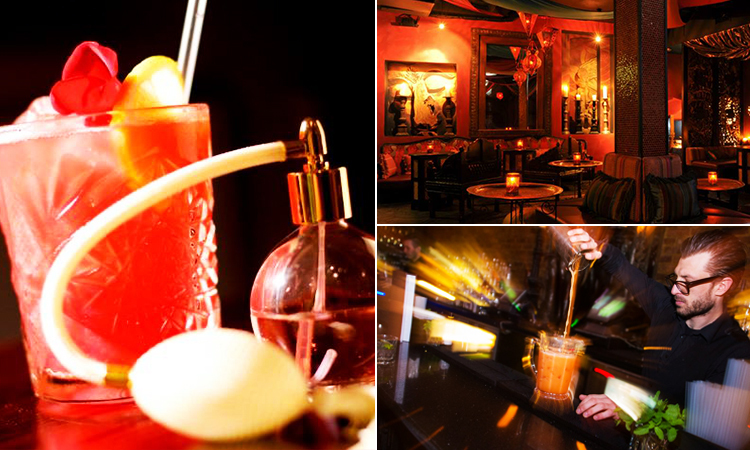 Inspired by the opulent orient, this glamorous four room cocktail bar is an excellent stop off on your Soho Crawl. This chic, luxurious bar and club is nestled within the heart of London’s West End, and overlooks the world famous and historic Piccadilly Circus. With a remarkable reputation preceding it, and its amazing cocktails, party atmosphere and perfect location – it’s no surprise why it’s become a regular haunt for A-List celebrities as well as the most beautiful locals alike. The glorious premium cocktail menu will have you bejewelled from the very first sip, with everything from the classic Mojito to the decadent and delicious Martini – this really is the place to relax while sipping a majestic concoction. The sensationally sumptuous, late night opening, Strawberry Moon is a fun and nostalgic venue, with no limit to its cheese factor. 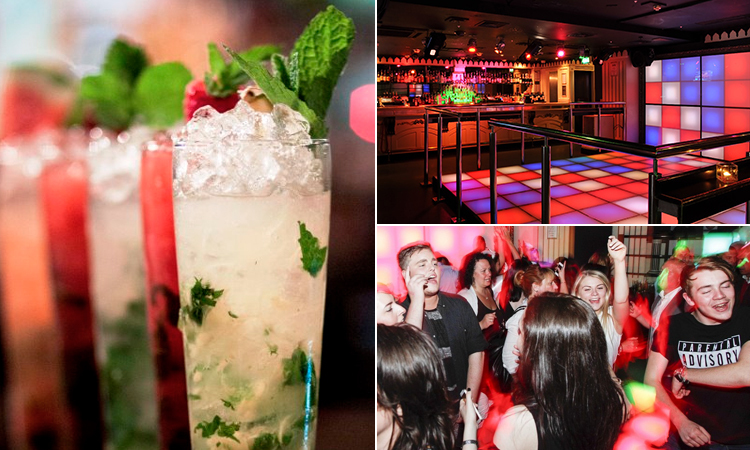 Celebrating your guiltiest pleasures, Strawberry Moon plays some of the cheesiest sing-a-long classic tunes from the 70s, 80s and 90s, and boasts translucent décor, disco lighting and a multi-coloured grid dancefloor. With fantastic happy hour offers, and always welcoming fancy dress - you and the girls can really let your hair down here, and dance until the early hours. The extensive drinks menu is brimming with boozy delights, including cocktails, shooters, sharer pitchers, and, of course, Strawberry Moon’s world renowned Seven Deadly Sins cocktails. It’s going to be an unforgettable night. 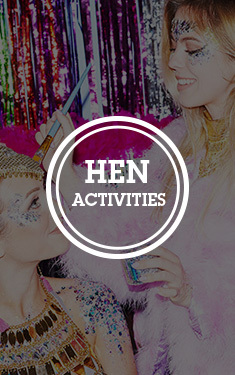 To find out more about our hen party packages in Central London, check out our London pages.